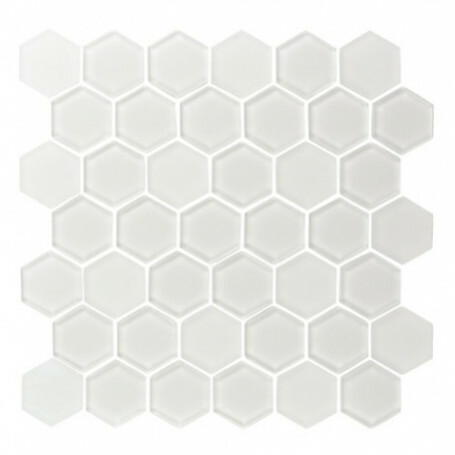 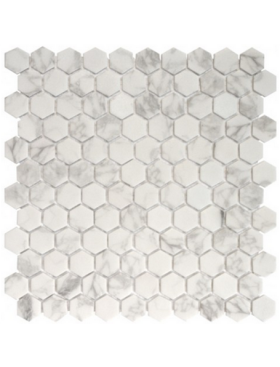 Pure 2" Hexagon Ice White 11" x 11.25"
Pure 2” Hex offers a rich fusion of honed and polished glass mosaics on a mesh back. 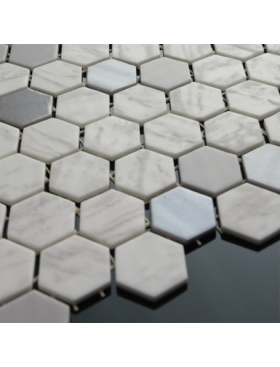 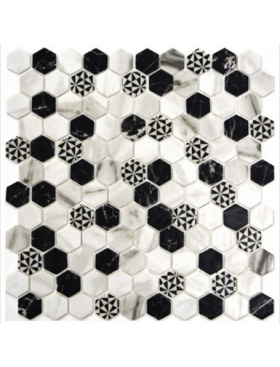 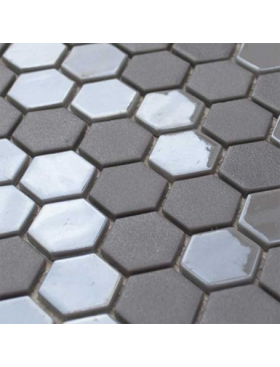 Following the honeycomb pattern, this stylish blend of hexagonal shaped mosaic pieces will instill a modern flare to any decor. 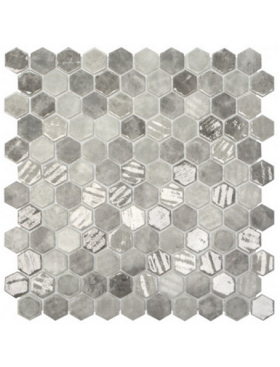 Pure features five different blends, Cappuccino, Mocha, Latte, Warm White and Ice White in a nominal 12" x 12" sheet. 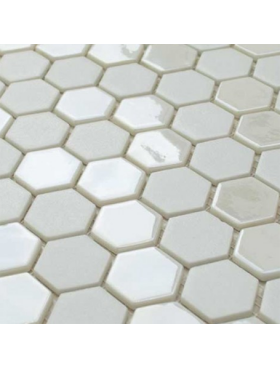 Suitable for indoor commercial and residential wall applications. Shown here in Ice White. 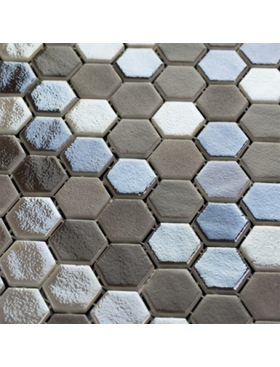 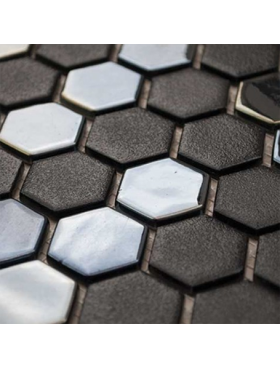 Pure 2” Hex offers a rich fusion of honed and polished glass mosaics on a mesh back. 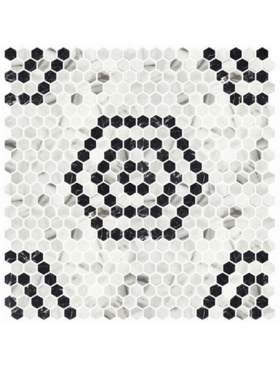 Following the honeycomb pattern, this stylish blend of hexagonal shaped mosaic pieces will instill a modern flare to any decor. 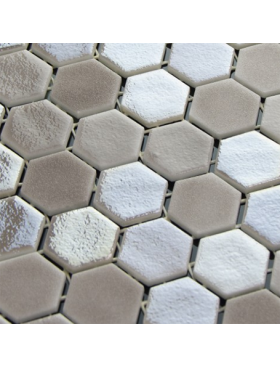 Pure features five different blends, Cappuccino, Mocha, Latte, Warm White and Ice White in a 12" x 12" sheet. 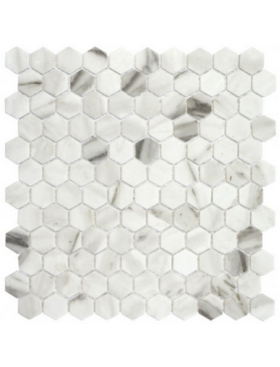 Suitable for indoor commercial and residential wall applications.